Los Angeles, Oct. 11, 2017 – Last night’s World Cup qualifying results do not change FOX Sports’ passion for the world’s biggest sporting event. While the U.S. was eliminated, the biggest stars in the world from Lionel Messi to Cristiano Ronaldo stamped their tickets to Russia on the same day, and will battle teams ranging from Mexico to England that have massive fan bases in America. The World Cup is the greatest sporting event on earth that changes the world for one month every four years, and FOX Sports remains steadfast in our commitment of bringing the games to America for the first time in 2018 and will continue to support the U.S. Soccer Federation as they look ahead to the 2022 World Cup. LOS ANGELES, CA – FOX Sports University, a partnership initiative that has teamed with over 40 prestigious academic and athletic institutions since launching in 2008, celebrates its 10th year of bringing the real world into the classroom. In its first decade, the program has expanded from teaming with a single university, the University of Florida, and now spans more than 10 conferences across the country. Marking the milestone, FOX Sports employees, on-air personalities, program alumni and current students come together today, “10/10,” for FOX SPORTS U DAY, celebrating 10 years of real-world learning, exciting behind-the-scenes experiences and successful campaigns inspired by student work. For the 2017 Fall Semester, FOX Sports U has launched projects with Arizona State, Auburn, Baylor, Howard, Marquette, Maryland, Minnesota, New York University, North Carolina, Northwestern, Ohio State, Oregon, Pittsburgh, St. John’s, Syracuse and Xavier. Project topics range from 2018 FIFA World Cup strategy, to College Basketball on FS1 and the 2018 U.S. Open Championship. The program, which has reached more than 5,000 students, is designed to provide real-world experience to graduate and undergraduate students, while developing a pipeline of innovative ideas for FOX Sports properties. FOX Sports challenges students with semester-long case studies which are timely and relevant to the company’s business needs. FOX Sports U tasks students to develop solutions – products, concepts and campaigns – that have the potential to be executed across FOX Sports businesses, giving students the opportunity to see what it takes to make their ideas come to life. FOX Sports executives and on-air broadcasters take part in the education process, giving the practical element to learning whereby students produce research, campaigns and concepts for FOX Sports. 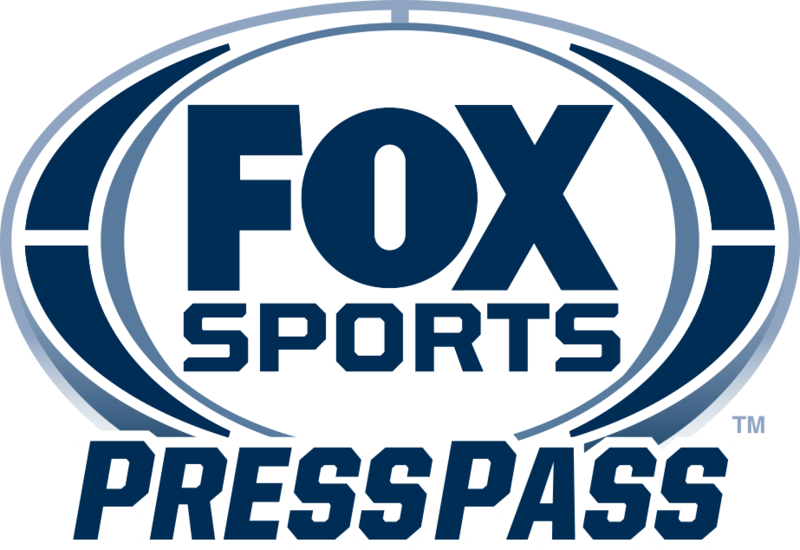 FOX SPORTS U DAY also marks the launch of a year-long on-air promotional campaign across FS1 and each of the FOX Sports Regional Networks. 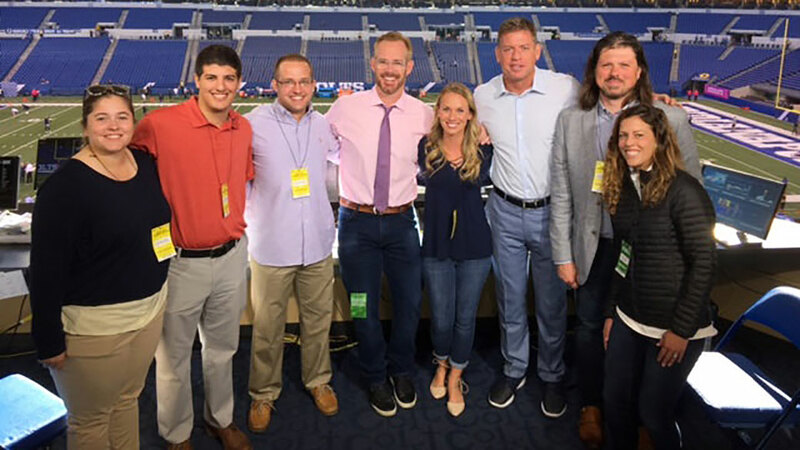 During the 2017-18 school year, the program enjoys unprecedented support from top FOX Sports executives and on-air personalities as they return to their alma maters nationwide to inspire the next generation of sports media innovators. FOX Sports has hired more than 100 FOX Sports U students since the program’s inception. To showcase the opportunities that have been created for hardworking and deserving students nationwide, digital videos will be released, profiling four recent FOX Sports U summer interns, each with their own unique story. 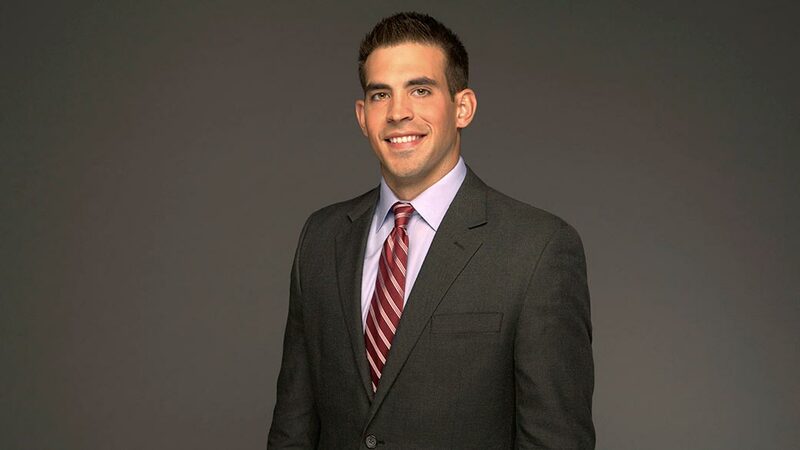 FOX Sports U will also profile 10 program alumni working for FOX Sports in various roles. Student-generated campaigns have won Emmy, Telly, Addy, Golden Matrix and Promax awards. Follow @FOXSportsU on Twitter, Facebook and Instagram for a look into FOX SPORTS U DAY celebrations. Additional information, including examples of past projects, can be found here. A highlight reel of the program’s previous work can be viewed here. LOS ANGELES, CA – The following quotes and videos are from tonight’s FS1 UFC 216 POSTFIGHT SHOW on FS1 hosted by Karyn Bryant, with Tyron Woodley, Kenny Florian and Paul Felder providing analysis. Megan Olivi conducted interviews. VIDEO: Kenny Florian, Tyron Woodley and Paul Felder break down Demetrious Johnson’s epic night! VIDEO: Interview: Dana White – Will we see a title unification fight between Conor McGregor and Tony Ferguson? Dana White has the answer. LOS ANGELES, CA – Sunday’s two ALDS matchups presented by Doosan win-or-go-home matchups on FS1 delivered strong viewership, with the evening tilt between the Cleveland Indians and New York Yankees earning 5,536,000 total viewers across FS1, FOX Deportes and FSGO, according to Nielsen Media Research. +123% versus Game 3 of the Toronto-Texas ALDS in 2015 that ran in Sunday prime time (2,374,000). +150% compared to Texas-Toronto Game 3 in last year’s ALDS on TBS (2,121,000 for Toronto-Texas in Sunday prime). +29% compared to last year’s Chicago-San Francisco NLDS Game 3 (4,097,000 for a game that started on Monday at 9:29 PM ET). The game peaked from 10:45-10:58 PM ET with 6,987,000 viewers. On FSGO, the telecast had an average-minute audience of 85,526. The game peaked from 5:30- 5:45 PM ET with 3,190,000 viewers. On FSGO, the telecast had an average-minute telecast of 32,901. Through Game 3 (four games), the ALDS on FS1 is averaging 3,169,000 viewers, up 37% over 2015 ALDS on FS1 at the same point (2,320,000 through four games), and up 1% compared to last year’s NLDS on FS1 at the same point (3,139,000 for four games). LOS ANGELES, CA – FOX Sports presents an action-packed MLS doubleheader, featuring linear and digital whiparound coverage for the penultimate week of the regular season on Sunday, Oct. 15, beginning at 5:00 PM ET on FS1 and FOX Deportes. An Eastern Conference matchup kicks off Sunday’s lineup when U.S. MNT goalkeeper Brad Guzan returns from international duty at the 2018 FIFA World Cup Qualifiers, joining No. 3 Atlanta United in a clash with Bradley Wright Phillips and the No. 6 New York Red Bulls at Red Bull Arena in New Jersey. Immediately following, Clint Dempsey’s Seattle Sounders host Kellyn Acosta and a Dallas FC team looking to keep postseason hopes alive (7:30 PM ET, FS1). 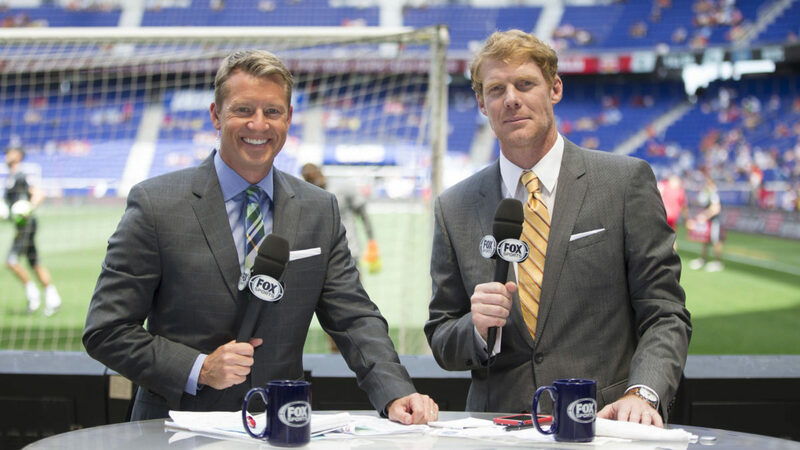 As playoff spots are down to the wire, Rob Stone and Alexi Lalas host FS1’s whiparound coverage, offering quick-turnaround highlights of in-progress games and the league’s most compelling action, MLS news and analysis. Rachel Bonnetta hosts a special digital whiparound show across FOX Soccer’s social media platforms (Facebook / FOX Sports Go), beginning at 5:15 PM ET on the Eastern Conference matches and 7:35 PM ET on the Western Conference matches. Once the action begins on the field, Glenn Davis calls the New York Red Bulls vs. Atlanta United match alongside former MLS midfielder Stu Holden, with Katie Witham reporting from the sideline. Play-by-play announcer Mark Followill calls the Sounders-Dallas FC match alongside former Columbus Crew star Brad Friedel, with Danielle Slaton reporting from the sideline. In Spanish, Alejandro Luna and Elmur Souza call the New York Red Bulls-Atlanta United matchup, with Ernesto Amador and Martin Zuñiga on the call for Seattle Sounders-Dallas FC on FOX Deportes. Seven top-25 teams hit the gridiron across the FOX broadcast network, FS1 and BTN this weekend, highlighted by a Big 12 clash between No. 8 TCU and No. 23 West Virginia at 3:30 PM ET on FS1. Play-by-play announcer Aaron Goldsmith, analyst Brady Quinn and sideline reporter Bruce Feldman call the action from Amon G. Carter Stadium in Fort Worth. The FOX broadcast network airs a Big 12, Big Ten, Pac-12 tripleheader on Saturday, kicking off with Iowa State at No. 3 Oklahoma at 12:00 PM ET. The day’s coverage begins at 11:30 AM ET on FOX and FS1 with pregame coverage hosted by Rob Stone and analysts Matt Leinart, Robert Smith and Dave Wannstedt from FOX Sports’ Los Angeles studio. During Saturday’s pregame show, Feldman sits down with Sooners quarterback and Heisman hopeful Baker Mayfield, one of the most polarizing figures in the game today. From planting the Oklahoma flag on an opponent’s turf to pre-game altercations, Feldman explores how the chip on Mayfield’s shoulder brings out the best in his Sooners teammates. At 4:00 PM ET on FOX, No. 10 Ohio State welcomes Maryland to Columbus for a Big Ten East battle with the lead college football broadcast team of play-by-play announcer Gus Johnson, analyst Joel Klatt and Jenny Taft live from “the Horseshoe.” Rounding out the day’s action on the broadcast network, No. 11 Washington State visits Oregon at 8:00 PM ET. Play-by-play announcer Tim Brando, analyst Spencer Tillman and sideline reporter Holly Sonders have the call from Autzen Stadium. This week’s full schedule of games on FOX, FS1 and BTN, including broadcasters, can be found HERE. 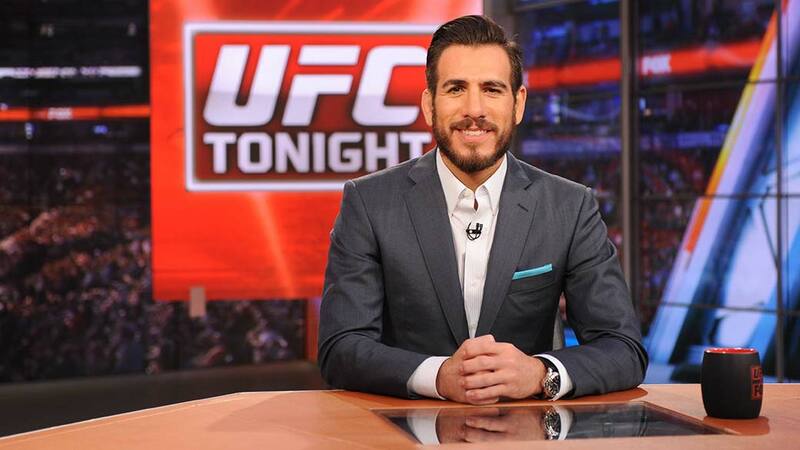 LOS ANGELES, CA – UFC TONIGHT was hosted by Kenny Florian and Daniel Cormier, with Karyn Bryant adding reports. The crew previewed the upcoming UFC 216: FERGUSON VS. LEE and interviewed flyweight champion Demetrious Johnson, as well as headliners Tony Ferguson and Kevin Lee. One of the most unique moments in sports history, the Pine Tar Game is an incredible story filled with outsized characters and unpredictable twists befitting a Hollywood blockbuster. THE PINE TAR INCIDENT: MAKING OF TAR WARS imagines what it would be like if someone had actually made that film, and tells the story of the Pine Tar Game in a manner that reflects the absurdity and idiosyncrasy of the original events. FOX Sports’ “Making of Tar Wars” documentary uses staged recreations and actor confessionals that are part of the “movie” – in addition to real archival footage, research and original interviews with players and reporters who recount the incident – providing an accurate and thorough retelling through an unconventional and entertaining lens. The man at the center of the controversy, George Brett, offers his perspective on the disqualification of his game-winning home run against the New York Yankees and the ensuing back-and-forth between the Kansas City Royals, MLB and the cast of characters fueling the controversy – Yankees owner George Steinbrenner, on-again off-again Yankees manager Billy Martin, and Brett himself. Longtime New York Daily News sports reporter Filip Bondy, author of The Pine Tar Game, also provides his expert insight. 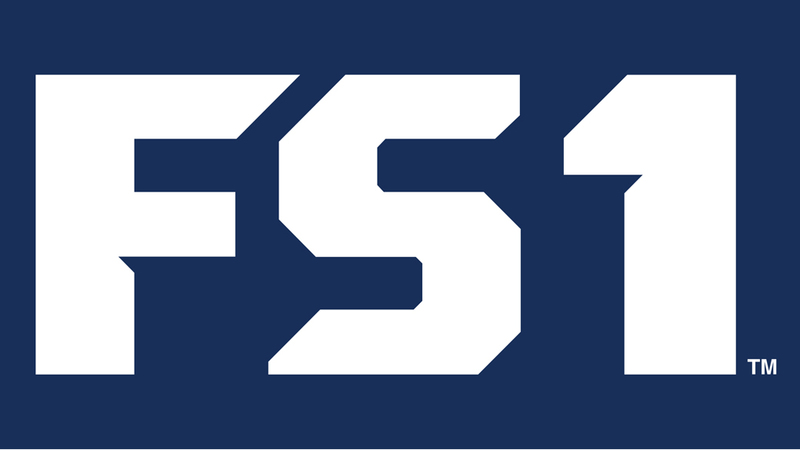 “We’re thrilled to continue our partnership with Major League Baseball by supplementing our live postseason coverage with innovative original programming like THE PINE TAR INCIDENT,” said Charlie Dixon, FS1 EVP of Content. Produced by FOX Sports Originals and DLP Media Group, THE PINE TAR INCIDENT: MAKING OF TAR WARS airs Thursday, Oct. 5 at 11:00 PM ET on FS1 following Game 1 of the American League Division Series between the New York Yankees and the Cleveland Indians. FOX Sports’ coverage of Game 1 begins at 7:00 PM ET on FS1. LOS ANGELES, CA – Today, FOX Sports announces its broadcast team for UFC 216: FERGUSON VS. LEE on FS1, FX, FS2 and FOX Deportes this Friday and Saturday. Current UFC lightweight Paul Felder (@felderpaul) makes his FOX Sports studio analyst debut with welterweight champion Tyron Woodley (@TWooodley), retired contender Kenny Florian (@KennyFlorian) and host Karyn Bryant (@KarynBryant) from FOX Sports’ Los Angeles studios. UFC light heavyweight champion Daniel Cormier (@dc_mma) joins analyst Joe Rogan (@JoeRogan) and blow-by-blow announcer Jon Anik (@Jon¬_Anik) to call UFC 216: FERGUSON VS. LEE on Saturday live from Las Vegas. Reporter Megan Olivi (@MeganOlivi) interviews fighters on-site. 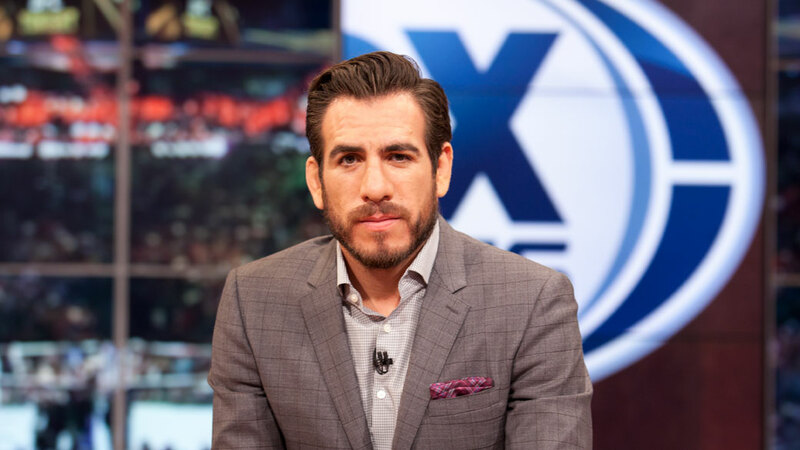 Mario Delgado (@mariodelgadorzm), Santiago Ponzinibbio (@SPonzinibbioMMA) and Victor Davila (@mastervic10) call the Spanish language telecast on FOX Deportes. No. 2-ranked lightweight Tony Ferguson (23-3) and No. 7 Kevin Lee (16-2) fight for the interim UFC lightweight title at UFC 216’s headliner on Saturday at T-Mobile Arena in Las Vegas. Winner of season 13 of THE ULTIMATE FIGHTER, Ferguson has gone 12-1 in the Octagon with eight finishes and eight post-fight bonuses, cementing his place as not just one of the best fighters in the world, but one of the most exciting as well. He’ll face fellow contender Lee, who has nine UFC victories and plenty of ambition to add a gold championship belt to his trophy case when he puts his five-fight winning streak on the line. In the co-main event, UFC’s first and only flyweight champion has a chance to make history as Demetrious “Mighty Mouse” Johnson (26-2-1) defends his title against No. 3-ranked Ray Borg (11-2). Already tied with Anderson Silva for the most successful consecutive title defenses in UFC history, Johnson can break that record against Albuquerque’s Borg, a hungry challenger eager to stop Johnson’s quest for glory. On Wednesday, Oct. 4 (8:00 PM ET), UFC TONIGHT hosts Florian and Cormier preview UFC 216 and interview headliners Ferguson, Lee and flyweight champion Johnson. The UFC 216 WEIGH-IN SHOW takes place on Friday, Oct. 6 (8:00 PM ET) on FS1 with the same studio crew. Saturday’s coverage begins on FX (7:00 PM ET) with the UFC 216 PREFIGHT SHOW with Bryant, Felder, Florian, Woodley and Olivi. The two-hour UFC 216 PRELIMS are on FX and FOX Deportes at 8:00 PM ET and feature four action-packed bouts. Bantamweight Tom Duquesnoy (15-1, 1NC) faces Cody Stamann (15-1). Lightweight Will Brooks (18-3) squares off with Nik Lentz (29-8-2, 1NC), while Lando Vannata (9-2) and Bobby Green (23-8) go head-to-head in another lightweight bout. Plus, Pearl Gonzalez (6-2) and Poliana Botelho (5-1) open the PRELIMS with an exciting strawweight bout. The action wraps up immediately following the main event with the UFC 216 POSTFIGHT SHOW on FS2. Leading up to UFC 216, UFC fighters offer unique, behind-the-scenes clips on FOX Sports PROcast and on the FOX UFC social pages. Follow @UFConFOX on Twitter, Facebook and Instagram for all updates throughout the #UFC216 fights this Saturday. NEW YORK, NY – Wild Card winners fill out Major League Baseball’s postseason lineup, and the only thing that matters now is October. FOX Sports today announces its full on-air broadcaster lineup for its coverage of the American League Division Series and American League Championship Series, beginning Thursday, Oct. 5, on FS1 and FOX Deportes. FOX Sports also serves as the exclusive home of the World Series for its 18th consecutive season and 20th overall, and airs exclusively in Spanish on FOX Deportes. The announcement was made today by John Entz, FOX Sports’ President of Production & Executive Producer. Five-time World Series Champion, five-time MLB All-Star and 1994 Cy Young Award-Winner David Cone joins versatile play-by-play announcer Joe Davis, two-time MLB All-Star AJ Pierzynski and reporter Jon Paul Morosi for FS1’s ALDS coverage of the Boston Red Sox vs. the Houston Astros from Minute Maid Park in Houston. 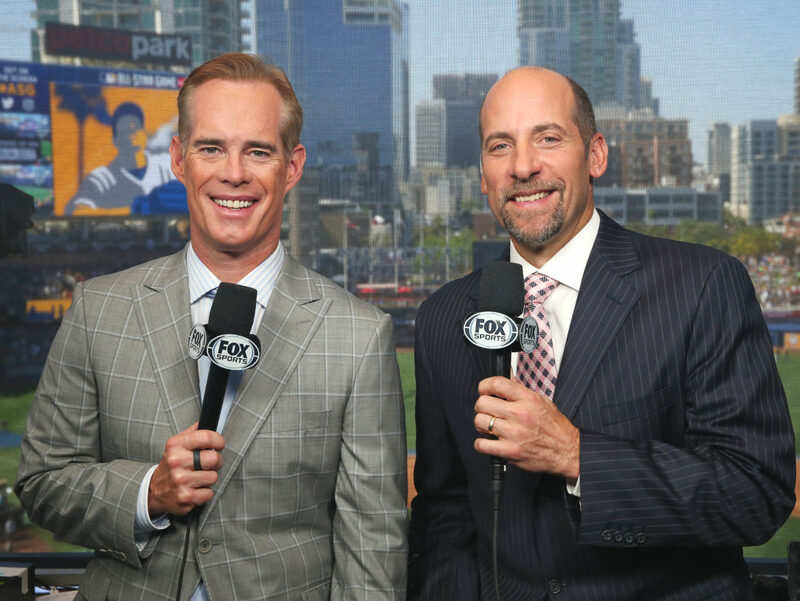 First-ballot Hall of Famer and 1995 World Series Champion John Smoltz reunites with multi-Emmy Award-winning announcer Joe Buck in the booth for the ALCS and World Series games. The team calls its second set of championships together following a highly acclaimed performance in last year’s historic postseason. Veteran Emmy Award-winning reporter Ken Rosenthal and multi-award-winning journalist Tom Verducci join Buck and Smoltz. FS1’s ALDS coverage leads off as the New York Yankees or the Minnesota Twins visit the Cleveland Indians with veteran play-by-play announcer Matt Vasgersian on the call alongside Smoltz. Rosenthal and Verducci once again team up from the field, bringing viewers exclusive inside information. In the studio, pregame and postgame coverage returns with a dynamic team of seasoned veterans and fresh new faces. Emmy-nominated host Kevin Burkhardt anchors the desk with Hall of Famer Frank Thomas and World Series Champions Keith Hernandez, David Ortiz and Alex Rodriguez as analysts. The studio crew makes its 2017 postseason debut on Thursday, Oct. 5, at 7:00 PM ET on FS1. Pete Macheska is lead producer for the ALCS on FS1 and World Series on FOX. Matt Gangl is lead director. Pregame coverage is produced by Bardia Shah-Rais and Jonathan Kaplan and directed by David Faller. Judy Boyd is Senior Vice President, FOX Sports Productions. Kent Camera is Senior Vice President, FOX Sports Productions. Jacob Ullman is Senior Vice President, Production & Talent Development.